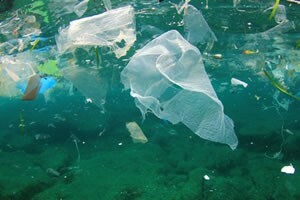 Plastic pollution is a growing threat to our waterways globally and to our marine life locally. An estimated 267 species of marine and avian life—including including whales, turtles, seals, shorebirds, and dolphins that populate the Long Island Sound and surrounding NY waters—are impacted by our addiction to throw-away plastics. What we can we do to protect marine life and keep plastics out of Long Island Sound? Join us for a free educational forum to hear leading experts in the field discuss impacts of plastic pollution on our wildlife, water, and communities. Find out how you can get involved in the fight against plastic pollution. RSVP for “Keeping Plastics out of Long Island Sound” here. Thank you for joining us! Together we make a difference. The New York State budget will provide funds to create a food scrap recycling program, help Long Island’s water infrastructure and ban plastic bags. Environmentalist groups hail this as “landmark” legislation. Adrienne Esposito, executive director of Citizens Campaign for the Environment, says the food scrap program will set a precedent for other states. She says food scraps will be recycled for renewable energy. The budget also gives $500 million to pay for sewer upgrades and water filtration systems throughout the state. SYOSSET, N.Y. (CBSNewYork) – A worldwide recycling crisis has forced many local governments to stop collecting or recycling glass. But the Town Of Oyster Bay will become the first in Nassau County to set up glass recycling stations for residents, CBSN New York’s Carolyn Gusoff reports. They call it “wishful recycling.” Folks hope their glass bottles are getting recycled. Chances are, these days, they’re not. Much of our glass ends up in landfills mixed in with non-recyclables. The Town of Oyster Bay, like municipalities around the nation, had to give up glass recycling because oversea markets dried up. “China wouldn’t take that, because once the glass was involved with paper it’s really… they can’t make another product out of it. And it was also breaking down their equipment,” said Daniel Pearl, the deputy commissioner of public works of Oyster Bay. Heavy glass is too expensive to haul out of state for limited recycling options. Now, there’s a possible local use. Oyster Bay is the first in Nassau County to set up five glass collection igloo pods and asking the public to drop off their cleaned-out glass. The pilot program requires residents to do their part. A company in Jamaica, Queens, plans to take Oyster Bay’s glass and grind it down into the consistency of sand and turn it into landscaping gravel. Glass is no longer accepted for recycling by many municipalities since there is no commercial market for it. Last fall, communities across Long Island that had adopted single-stream recycling ran into trouble. While single-stream sorting can mechanically separates different materials that consumers throw out all at once, they found the end product in single stream was not pure enough to be sold. China, the world’s leading buyer, no longer accepts such mixed recyclables. As a result, neither do many Long Island municipalities. Environmentalists say solving the crisis means more ways to recycle closer to home. “We can’t just sit around and blame China. We have to have American markets to utilize recycled glass,” said Adrienne Esposito of the Citizens Campaign for the Environment. While Oyster Bay currently pays to haul away its household trash, paper and plastics, it’s glass will now be recycled for free. After a 90 day pilot program, both the town and the recycling company will evaluate whether or not to continue. Under an agreement reached as part of the state budget passed by lawmakers over the weekend, plastic bags will be banned in all New York retail stores starting next March. The ban is supported locally by many Lynbrook and East Rockaway residents. Reacting to a Herald post on Facebook about the legislation, many wrote that they were happy to see it pass. “It’s about time we start to care about the future,” Vicki Perlman wrote. With the agreement, New York becomes the second state to ban plastic bags — California was the first. State Sen. Todd Kaminsky, a Democrat from Long Beach who heads the Senate Environmental Conservation Committee, sponsored the bill to ban the bags. “We will score a big win for our environment and our future,” he said in a social media post shortly before the budget was approved. Plastic bags are used for 12 minutes on average before they become garbage, according to Adrienne Esposito, executive director of the Farmingdale-based Citizens Campaign for the Environment. At that point, she said, they can blow into waterways, where marine life might suffocate on them or ingest them. Plastic in general, Esposito said, breaks down into micro-particles, which have been found in a variety of oceangoing wildlife. Under the plan, counties can opt to levy a 5-cent fee on paper bags, with 3 cents going to the state’s Environmental Protection Fund, used to expand New York’s Forest Preserve and restore historic sites. Two cents would go to counties to purchase and hand out reusable shopping bags. A spokeswoman for Nassau County Executive Laura Curran did not respond to a call requesting comment on whether the county would seek a 5-cent fee on paper sacks. Some municipalities had already sought to decrease the use of plastic bags in stores — Long Beach and the Village of Sea Cliff had implemented a 5-cent surcharge on plastic bags. In Long Beach, the legislation was passed in the hope of reducing plastic-bag use by 75 percent, according to city officials. Suffolk County also has a fee on plastic and paper bags. Nassau County Legislator Debra Mulé, a Democrat from Freeport, had sought the same fee countywide, but the Republican majority blocked a vote on legislation she propsed. After the announcement that bags would be banned statewide, Mulé said she would drop her bill. “I’m happy there’s a ban on plastic bags — it’s great,” she said. Mulé added, though, that she was disappointed that the fee on paper bags would not be mandatory, a point that many environmentalists agreed with. Lynbrook resident Susan Brockmann was a vocal supporter of Mulé’s proposed legislation. On May 7, 2018, Brockmann stood outside the county’s Legislative Building in Mineola wearing 500 plastic bags. She did so to demonstrate how the average person uses 500 plastic bags per year, contributing to an annual total in New York state of about 23 billion. The bags, Brockmann said at the time, get stuck in trees or end up in the ocean, where marine creatures can ingest them and die from the chemicals used to make them. “It’s such a good visual,” Brockmann said of her get-up. She could not be reached for comment after the state ban was approved. Students in the Lynbrook School District were also proponents of change. They presented the village’s board of trustees with letters urging officials to tax plastic bags in April 2017. The state budget also made the 2 percent property tax cap permanent, a measure that the State Senate’s Long Island delegation advocated leading up to the spending plan’s passage. The cap limits the yearly growth of taxes levied by local governments and school districts to 2 percent or the rate of inflation, whichever is smaller, in an effort to keep communities affordable for homeowners. The cap was first passed in 2011, and was set to expire in 2020. The budget also included congestion pricing, which will charge drivers $11.50 to enter Midtown Manhattan’s central business district, south of 60th Street. According to Newsday, the Long Island Rail Road could receive up to $4 billion over five years from money raised by congestion pricing and earmarked for capital improvements. Long Island’s state senators said they would not have supported congestion pricing if part of the revenue had not been allocated for the LIRR. “If we’re going to ask Long Island drivers to pay more,” Kaminsky said, “it better come with an incredible influx of money for the Long Island Rail Road.” It is not known when congestion pricing will take effect. Recreational marijuana was not included in the budget, as Cuomo had hoped. WASHINGTON — On Wednesday, Rep. Tom Reed (R-Corning) praised President Trump for his support of the Great Lakes Restoration Initiative after his budget originally called for cuts to the program. Reed fought to guarantee a 900 percent increase from the President’s proposed budget for the Great Lakes Restoration initiative last year. Calling the New York State Department of Environmental Conservation’s reversal on the shutdown of the Sand Land industrial mine in Noyac “shocking” and “ridiculous,” local residents and environmentalists appeared at Southampton Town’s March 26 board meeting to urge the town to challenge the controversial settlement the D.E.C. announced with the mine on March 15. Despite the test results by the Suffolk County Department of Health and an independent expert that showed dangerous contaminants at the 50-acre site on Middle Line Road are leeching into the soil, the D.E.C. extended the mine’s permit another eight years last month and granted permission to dig another 40 feet deeper at the site. The settlement was struck after Sand Land’s owner, John A. Tintle, exercised his right to appeal the original ruling. They are not the only ones who remain upset. “I am asking you to sue the pants off the D.E.C.,” Elena Loreto, president of the Noyac Civic Council, told the Southampton Town Board at last week’s meeting, after praising the town’s stiff opposition to the mine in the past. Sand Land “scares the hell out of me,” Larry Penny of Noyac told the board, noting that the D.E.C. has also extended the permit for Wainscott Sand and Gravel, another mining operation run by Mr. Tintle. “The D.E.C. has been just god-awful,” said Mr. Penny, a former East Hampton Town director of natural resources (and a Star columnist). Sand Land is located over a special groundwater protection area that is important to the South Fork’s long-term drinking water supply, not just that of nearby residents. The mine and its numerous opponents have been locked in various iterations of this environmental impact fight for nearly two decades. Southampton Town sued Sand Land a few years ago for reneging on an agreement to allow the town access to drill and monitor wells on the site. Using those data, the Suffolk Health Department issued a report in July of 2018 stating for the first time that Sand Land’s mining and other operations such as processing vegetative waste, construction debris, compost, and mulch resulted in the release of iron, manganese, ammonia, gross alpha (radioactivity) and numerous other contaminants into the aquifer and deep-water recharge area beneath the site. Iron was found in the deepest parts of the water table at concentrations over 200 times the drinking water standard and manganese was found at concentrations at almost 100 times the drinking water standard, the county report stated. Sand Land’s attorney, Brian Matthews of Matthews, Kirst & Cooley in East Hampton, said in an interview Monday that part of Sand Land’s prevailing argument to the D.E.C. challenged the county’s findings. Mr. Matthews said Sand Land asserted that sand mining alone has never been conclusively shown to cause groundwater pollution, and that Sand Land’s own hired experts had found the vegetative/organic waste the mine was taking in was not polluting the groundwater. Hardly anyone involved seems convinced the D.E.C.’s latest move is the end of this fight. Mr. Thiele, speaking in a phone interview Monday, challenged Mr. Matthews’s assertions about sand mining, saying such soil disturbances can reduce the filtering buffer that protects the water table from the contaminants above. “That site is already contaminated, and you can’t wave a wand and make it pristine again,” Mr. Thiele said. The assemblyman added the path ahead for him and Sand Land’s many other opponents likely will be three-pronged: demanding a formal public hearing on the D.E.C. settlement before the permit is granted, legal action, and legislative action. Mr. Thiele previously co-sponsored a bill that allows towns to monitor water quality at mines, and he said he is now researching how to craft new legislation to prevent the issuance of permits for mines over contaminated sites. “There has to be consequences if you find these mines have been contaminated,” he said. Ms. Loreto, near the end of her remarks last week to the Southampton Town Board, polled the members one by one asking them to declare on the record whether they supported three actions the Noyac Citizens Council was asking for: legal action against the D.E.C., a resolution condemning the D.E.C. settlement, and that the town fight to insert more sophisticated monitoring wells at the mine where it wants them, and not where Sand Land wants them. All four board members — Tommy John Schiavoni, John Bouvier, Christine Scalera, and Julie Lofsted — said they supported the requests, as did Town Supervisor Jay Schneiderman. Mr. Schneiderman said the town will indeed seek greater control of the monitoring process and added, “We are exploring various legal options, and other options” to counteract the settlement. When Bob DeLuca, president of the Group for the East End, also addressed the board, he said the D.E.C. settlement got the size of the mine wrong — again to the benefit of Sand Land. This week, a Cuvier beaked whale washed ashore in the Philippines with more than 40 kilos of plastic found in its stomach – the United Nations says 8 million tons of plastic ends up in the oceans each year. It’s proof the harm of plastics isn’t going away. The state finally acted on a single-use plastic bag ban this week – the Environment Committee voted in favor of a bill that would ban the sale of single-use plastic bags starting in 2020, but stores would still be allowed to offer customers recyclable paper bags. Stores that do not comply, according to the bill’s language, will be issued a warning on the first violation; after that a store would be fined $250 for a second and any subsequent violations. More than 20 communities in Connecticut have passed plastic bag bans, joining neighboring states like Massachusetts, where 81 cities and towns have regulated plastic bags, either imposing a five or 10 cent fee per bag or banning them outright. Recently, supermarket chain Big Y, which has 30 stores in Connecticut, announced it will phase-out single-use plastic bags in its stores by next year. National chains Costco and Aldi, which both have stores in Connecticut, already do not provide free single-use plastic bags. The Citizens Campaign for the Environment said a plastic bag is used for an average of only 12 minutes but can remain in oceans, landfills, parks and on beaches for thousands of years. Along with banning plastic bags, the state can and should do more, including begin thinking about a ban on plastic straws. If it did, it would follow in the footsteps of the Beardsley Zoo in Bridgeport that recently banned plastic straws and is now using only biodegradable food containers. Lucey has seen the volume of plastic in Long Island Sound first-hand. He said boats towing a special net routinely pull up shellfish with plastic microfibers inside them. Activists say plastic, whether in the form of a bag, bottle, straw or microfiber that slips through sewage treatment plants, causes severe damage to animals such as clams, fish, birds, turtles and seals. Banning plastic bags is a great start, but we have a long way to go to cut down on plastic pollution. New York will soon become the third state in the nation to ban single-use plastic bags. The measure was included in the $175.5 billion budget passed by lawmakers in Albany. Lawmakers say the ban aims to get consumers to use reusable bags to bring home their groceries. The move is being heralded by environmentalists as a win for wildlife and nature. Suffolk County has charged a 5 cent fee for paper or plastic bags for just over a year. But under the new law, plastic bags will not be available anywhere. For Nassau County consumers and stores owners, the bag change will bring a whole new shopping experience. Not everyone is thrilled with the new state law, including many in the food and convenience store industry. They say the law is unfair because an exception is being carved out for restaurants and delis, but not grocery stores and big box retailers. Jay Peltz, with the Food Industry Alliance of NY, says the law will likely lead to more paper bag use, which he says will cost stores more money. "Under the state law, retailers will not be reimbursed at all," Peltz says. But environmentalists say the ultimate goal is to encourage reusable bags. "We want people to bring their own bag -- not use plastic, not use paper -- and that is what really helps the environment," says Adrienne Esposito, with Citizens Campaign for the Environment. The single-use bag ban will take effect in New York on March 1, 2020. California and Hawaii have statewide bans on the bags. Count New York environmental groups among those who are happy with the final 2019-20 state budget. One of the budget's main provisions is a ban on single-use plastic bags that will begin in March 2020. Several environmental advocates have called for a bag ban to reduce plastic waste. With passage of the state budget, New York is the second state to ban single-use plastic bags. There was strong support among Democrats for the plastic bag ban. While debating the budget Sunday, state Sen. Todd Kaminsky explained why the ban is necessary. Plastic, he said, is "really bad for the environment." Reports indicate that New Yorkers use 23 billion plastic bags annually. The bags wind up polluting the environment — on land and in waterways — because they aren't biodegradable. Kaminsky acknowledged there may be an adjustment period because of how many plastic bags New Yorkers have used in the past. "They're versatile," he said. "They'll use reusable bags. Our environment in New York will be better." Environmental groups that pushed for the ban didn't get all of what they wanted. The ban on plastic bags is paired with a 5-cent fee on paper bags. The fee, however, is optional. Cities and counties may opt in and charge the fee on paper bags in their municipalities. Jeremy Cherson, legislative advocacy manager for Riverkeeper, urged cities and counties to adopt the fee. "We encourage local governments to opt-in to the critical fee on paper to help ensure communities have policies on the books that will encourage consumers to use reusable shopping bags," he said. Other measures in the budget earned praise from environmentalists. The state will provide $500 million for water infrastructure. This is in addition to the state's $2.5 billion commitment to fund clean water projects. The funding will support projects to ensure clean drinking water. Pollution in many areas of the state have affected drinking water supplies. In central New York, harmful algal blooms have threatened the Finger Lakes, including Owasco and Skaneateles lakes. The lakes provide drinking water to the cities of Auburn and Syracuse, respectively. The budget contains $300 million for the state Environmental Protection Fund — maintaining record state support for various capital projects, such as farmland conservation, restoring habitats and sewage treatment plant upgrades. The spending plan also establishes an organic recycling program for food waste. When possible, food will be donated to serve those in need. If the food is no longer edible, it will be transferred to anaerobic digesters for energy production. Adrienne Esposito, executive director of the Citizens Campaign for the Environment, called the environmental provisions of the budget a "grand slam." "Addressing the plastic pollution crises and implementing food waste recycling are programs that demonstrate New York is leading by providing a path forward in our nation for a cleaner future," Esposito said. One of the most fluid topics at this extremely fluid stage of Albany budget negotiations is a proposed ban on plastic bags. While most everyone favors the ban itself, there is much debate about an accompanying 5-cent fee on paper bags. The general consensus is to let municipalities decide whether they want paper bags offered free of charge or to opt in to institute a fee. But while some negotiators want to give only counties the right to opt in, others say cities must be included as well to make sure that New York City, Buffalo, Rochester and others like Glen Cove and Long Beach have the option as well. And still others say if counties decide not to opt in, then the towns within those counties should have the option to opt in (as well as villages if the towns they are in do not). Also being discussed is how to split that nickel between the state, local municipalities and/or stores, and how those shares can be spent (reusable bags, other environmental-related programs or other uses). Environmental-minded lawmakers and advocates also were optimistic about getting approved a measure to reduce food waste and help feed the hungry by requiring big producers like hospitals, colleges and supermarkets to donate edible items to hunger-relief organizations and recycle the rest. It’s a plan Gov. Andrew M. Cuomo left out of his budget proposal after trying in vain to get it passed the last two years. It’s also looking increasingly like the budget will include $500 million for clean water infrastructure, not the commitment for $2.5 billion over five years some advocates had been pushing. And Cuomo’s plan to use Environmental Protection Fund money to pay for staffing was still on the table, despite legislative opposition. The debate, which played out in legislative hearings on the Climate and Community Protection Act held by Sen. Todd Kaminsky’s environmental conservation committee earlier this year, centers on which emissions-reduction goal to adopt and by when. One camp is arguing that the state should get 100 percent of its energy from renewable sources by a date certain, while the other camp says that is not doable and a better target is to be carbon-neutral by that date. One difference: the second goal allows for nuclear energy, the first does not. If there’s one thing folks in Albany understand this time of year, it’s change. Nearly 1.1 billion fewer plastic bags were used in Suffolk County last year after lawmakers passed a bag fee. That's according to a county Health Services report. The five cent single-use plastic and paper bag fee went into effect in January 2018, and it has had striking effects. Fewer bags are being used and showing up as pollution on the shoreline. Adrienne Esposito, executive director for the advocacy group Citizens Campaign for the Environment, says the report shows people are open to change if it helps the environment. New York is considering a statewide plastic bag ban as part of its budget negotiations. Environmentalists say many household products like laundry detergent, shampoo, body wash and hand soap are contaminated with a known possible carcinogen called 1,4-dioxane. Because 1,4-dioxane is a byproduct and not technically an ingredient, manufacturers are not required to put it on their labels. "It's actually a very disconcerting issue that's come up," says Adrienne Esposito, of Citizens Campaign for the Environment. "It's not about just one product and one exposure. We use all these products usually on a daily basis." The group says there are products with low or no detectable amounts of 1,4-dioxane. There is legislation making its way through the state Legislature that would ban the 1,4-dioxane byproduct from all household items. The chemical, designated by the U.S. Environmental Protection Agency as a likely carcinogen, has been found in dozens of Long Island drinking water wells. Tests found the chemical 1,4-dioxane in 65 of 80 household products, including baby products, shampoos, detergents and body washes, according to a study released Tuesday. The products with the highest levels include Victoria Secret’s shower gels, Tide Original laundry detergent and Dreft (Stage 1/Newborn) baby laundry detergent, according to the test commissioned by Citizens Campaign for the Environment, a Farmingdale-based group that is pushing a statewide ban of 1,4-dioxane in household products. 1,4-dioxane, designated by the U.S. Environmental Protection Agency as a likely carcinogen, has been found in dozens of Long Island drinking water wells, and water providers have estimated it will cost $840 million to install treatment systems. While 1,4-dioxane is primarily associated with industrial solvents, the chemical is also found in household products as a byproduct from the manufacturing process. “It’s a critical concern for contaminating our groundwater and drinking water,” said Adrienne Esposito, executive director of Citizens Campaign for the Environment, who added it also could be a concern for skin exposure. "We really were shocked at some of these results." A study in July by the group found 23 of 30 products contained 1,4-dioxane. Manufacturers said their products are safe to use and called the study a “distraction” from the real issue with 1,4-dioxane, which is industrial sites. No federal or state standard exists for the amount of 1,4-dioxane that can be contained in household products, Esposito said, though she said one recommendation from the European Union was not to use products that contain 1,000 parts per billion of the product. According to the report released Tuesday, products tested contained up to 17,000 parts per billion of the contaminant. Lifelong exposure to 0.35 parts per billion of 1,4-dioxane in drinking water represents a 1-in-a-million cancer risk, according to the EPA. In December, the panel of state health and environmental officials, water providers and academics recommended a drinking water standard of nearly three times that — 1 part per billion for 1,4 dioxane. Citizens Campaign for the Environment tested 80 products bought at Long Island stores and found the chemical in both high-end products and less-expensive alternatives, and products for men and women. Esposito said that on the positive side, many of the products marketed as environmentally friendly had no detectable levels of 1,4-dioxane. "A lot of these green products really are green," she said. She said the group originally tested the household products after seeing 1,4-dioxane contamination in drinking water supplies in areas without a history of industrial use. The products were tested by ALS Laboratory in Rochester, New York, which is certified by the state Department of Health and can detect down to 25 parts per billion. The products with the highest levels of 1,4-dioxane were Victoria's Secret Bombshell Body Wash, Victoria's Secret Love Body Wash, Tide Original Detergent, Ivory Snow 2X Ultra Detergent, Dreft Stage1/Newborn Detergent, Gain Original Detergent, Tide Simply + Oxi Detergent, The Home Store Lemon Scented Dish Soap, Baby Magic Hair and Body Wash, Up&Up (Target) Free + Clear Dish Soap, Persil Original Detergent, Pantene Pro-V Nature Fusion Shampoo. Environmentalists and water providers are pushing to ban 1,4-dioxane from products as state health officials have said they plan to set an enforceable drinking standard for 1,4-dioxane. Removing 1,4-dioxane from drinking water is costly and expensive. Only one system in New York — owned by the Suffolk County Water Authority — has been approved for use in a drinking water system. There's no way for households to remove the chemical on their own, experts said. HARTFORD, CT — Perhaps pushed into it by towns that have moved on the issue far quicker, the Environment Committee Monday voted 25-4 in favor of a bill that would ban the sale of single-use plastic bags starting in 2020. The bill also said that any paper bags provided by stores to customers who don’t bring their own shopping bags must be 100 percent recyclable. Stores that do not comply, according to the bill’s language, will be issued a warning on the first violation; after that a store would be fined $250 for a second and any subsequent violation. It seems every day a new Connecticut town or city is passing a plastic bag ban. By advocates’ counts, more than 20 communities have passed bans — about half of which have been in the past few months as the momentum to ban the plastic bags is building around the state. The bill takes note of that fact, stating that any town or city that has enacted a ban on its own should not have its law superseded by whatever final action the state winds up taking. “This bill would not impede in anyway the plastic bans that any towns have already moved forward on this issue,” Sen. Christine Cohen, D-Guilford, co-chair of the committee said. The Connecticut Food Association had submitted testimony during a public hearing on the bill, asking the state to act, stating it was difficult for the association to deal with it on a town-by-town basis. Pesce said grocers are trying to lead by example. Recently Supermarket chain Big Y, which has 30 stores in Connecticut, announced that it will phase-out single-use plastic bags in its stores by next year. National chains Costco and Aldi, which both have stores in Connecticut, already do not provide free single-use plastic bags. Gov. Ned Lamont has proposed a 10-cent tax on plastic bags, instead of calling for a ban. It’s unclear what that would mean the communities that have already banned them. Meanwhile, the committee Monday passed a second bill pushed by environmentalists — one requiring the elimination of single-use styrofoam containers for a food establishment. The goal of that bill is reduce litter in parks, waterways, and urban centers and also to create cost-savings in the recycling process. The bill received strong support during the public hearing from Connecticut Program Director For Citizens Campaign For the Environment (CCE) Louis Burch. That bill will move to the House. In an effort to “combat litter, help reduce greenhouse gas emissions and protect the environment for future generations,” Rockland County s banning single-use plastic bags at retailers, restaurants and grocery stores. In a bipartisan 14-3 vote, legislators in Rockland easily backed a measure that would ban the use of bags. The bill was sponsored by County legislators Laurie Santulli and Nancy Low-Hogan and will be sent to County Executive Ed Day for approval in the next three weeks. "Plastic bags not only make Rockland County look terrible, they cause problems for our solid waste facility and pose a significant threat to the environment," Santulli said. "A simple change in our habits – switching to paper and reusable bags, will help us address these problems for the betterment of our county." According to the United Nations Environment Programme, single-use plastic bags are one of the top five single-use plastics found in the environment by magnitude, and they are one of the top five items encountered in coastline clean-ups. Under the law, department stores, home center and hardware stores, drug stores, supermarkets, liquor stores, gas station stores, restaurants, farmers' markets and other locations would be banned from providing single-use plastic carryout bags. They instead would be required to provide paper bags made of recyclable materials or reusable plastic bags with handles that are machine washable. The law will not ban plastic bags used for loose bulk items such as fruit, vegetables, nuts, grains, candy, cookies, small hardware items or to wrap meats, fish, deli and frozen foods; nor does it ban bags used by pharmacies to contain prescription drugs, newspaper bags, door-hanger bags and laundry-dry cleaning bags. If approved, the law will be enforced by the Rockland County Office of Consumer Protection. Fines would range from up to $250 for a first-time offense; up to $500 for a second offense within a 12-month period; and up to $1,000 for a third and each subsequent offense within a 12-month period. Between 500 billion and one trillion plastic bags are consumed worldwide each year, according to the United States Environmental Protection Agency. Less than 1 percent of plastic bags are recycled in the United States and they are not acceptable at certain recycling centers. The EPA estimates that 80 percent of plastic pollution in the ocean originated on land, which includes plastic bags, and in New York, residents use 23 billion plastic bags annually, which contributes to pollution both on and off land. These bags do not biodegrade and they persist for years. It's been a little over a year since Suffolk County's plastic bag law went into effect, and lawmakers and environmentalists on Thursday released statistics that they say proves the effectiveness of the law. Legislator William Spencer says there are now about 1 billion fewer bags in Suffolk alone. The legislation required stores to charge 5 cents for each plastic and paper carryout bag. Supporters say the law did what it was supposed to do -- change the behavior of shoppers. In 2017, 5 percent of customers brought their own bag. That jumped to 26 percent in 2018. Also in 2017, 20 percent of people didn't use any bags. It was 37 percent the following year. Seventy-one percent of shoppers used plastic bags in 2017. That dropped to 28 percent in 2018. Adrienne Esposito, of Citizens Campaign for the Environment, says the numbers show that the law works.